Start blogging is a really new world for new one who would want to start a blog.its not so easy to stay in the queues of new bloggers.but if you have some quality and you have a knowledge of writing you can struggle for a while and you must get success if you struggled in first few month of blogging. As a new blogger i also feel a very big problem to choose a right and trusted platform to start blogging. Before choosing any blog platform you have to compare all benefits and loses of all sites and choose the better one. Wordpress is the biggest blog platform available on the web to start a fabulous blogging wordpress is a right combination of creative thinking and themes. This is the largest collection of theme as a blog plateform. There was only a site can hold this site comparison name blogger. Wordpress is not only a blog plateform this is a help desk for bloggers who waNt to start blogging as a full time carrear. For a new blogger it's very important to have a choice to make a good looking website from theme so wordpress have a large amount of free and paid themes which is very important for new bloggers. There was also a lot of plugin available for seo and other features it make it simple and very elegant so for this most of bloggers use wordpress for start blogging. Wordpress is the best blog writing site but its paid in its org web address but 100%free in .com site so if you want to to start blogging you can use wordpress.com for free. Write blog on wordpress is very easy even for all users because not need any expert to start blogging every person can start blogging with wordpress. You just have to follow these steps and you can write blogs on wordpress. *It's free for lifetime and gave you 100% trusted service.never need to pay for a free blog. *Wordpress has biggest collection of theme which is very important for a new blogger so this is best for new blogger a new user can easily choose a theme of his own choice. *Wordpress provide expert help and direct plugin to set up your google webmaster account. It made easy to appear your blog on google so this is a good thing for a new one who don't have knowledge of seo. *Wordpress provide free domain name and free web hosting.wordpess is a powerful blogging platform which can give you a good start to create a new blog. 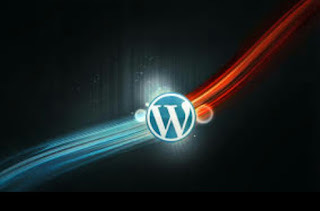 Use wordpress for start blogging and become famous with your writing.